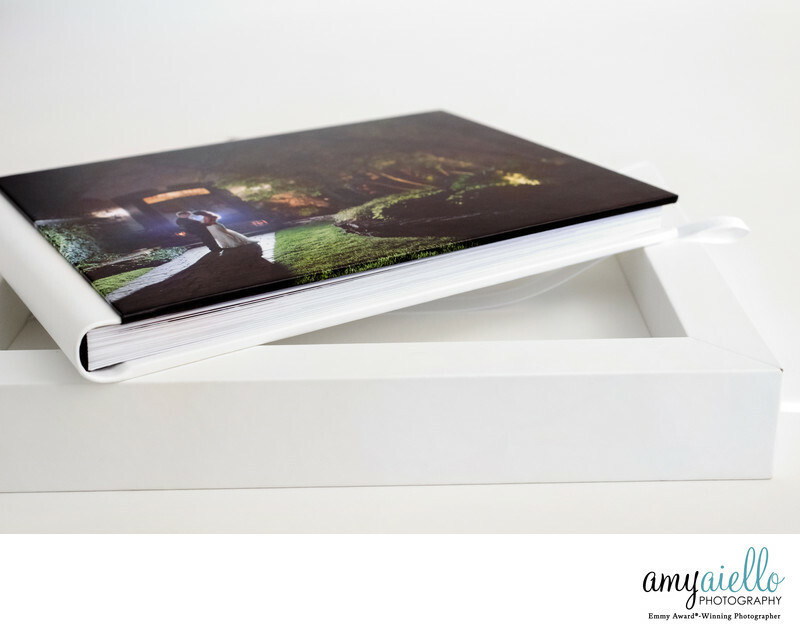 These unique albums feature a leatherette covered box that houses your photo book. 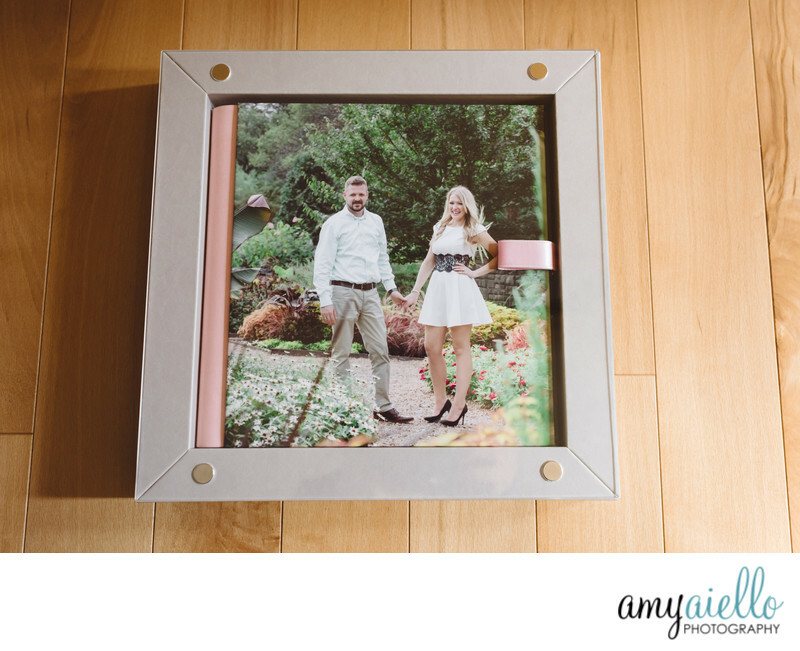 Each book and box With its plexiglass cover, this book doubles as a sort of a picture frame so that you can see your favorite photo from your engagement session even when your book is on the shelf! My clients love gifting these fabulous books to their parents as thank you gifts after the wedding! 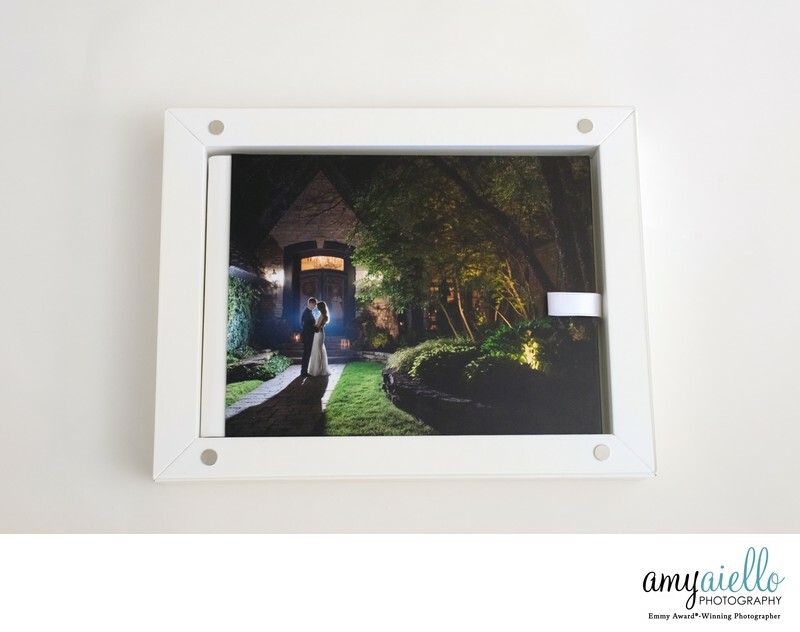 The shadowbox book is included in my entry level wedding collection. 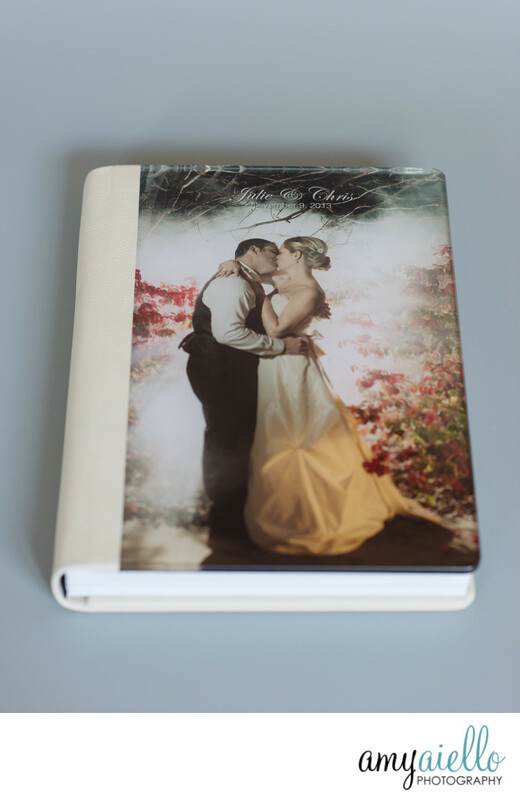 These beautiful hand-crafted in Italy books are highly customizable, and a luxurious step up from the shadowbox book. Heirloom books feature beautiful Italian leather, wood, acrylic, fabrics, and more. 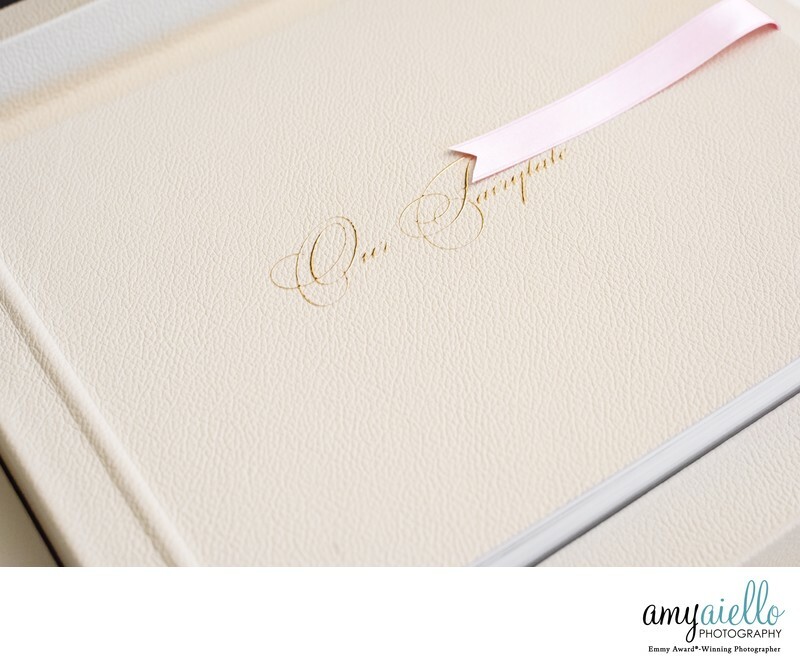 A custom luxury box is the perfect optional addition to keep your beautiful book protected! Choose from a variety of materials including leather, fabric, and even vegan options to make your heirloom book. Luxury upgrades including metal, wood, and acrylic are also available! The Heirloom Book is included in my most popular collection (The Heirloom Collection). These are my clients' (and my) absolute favorite books! This unique hand-crafted in Italy book features a luxurious chest-style box that houses your book. With the signature series, you can choose any combination of materials you would like to combine; all of the album upgrades are included with these books! My art lovers are obsessed with the books that have acrylic covers, and my wine lovers cannot get over the all cork books! You really have to see these for yourself! The Signature book is included in my Signature collection. Ask me how to upgrade your book to a Signature book!